Help drive new traffic to your class and studio. 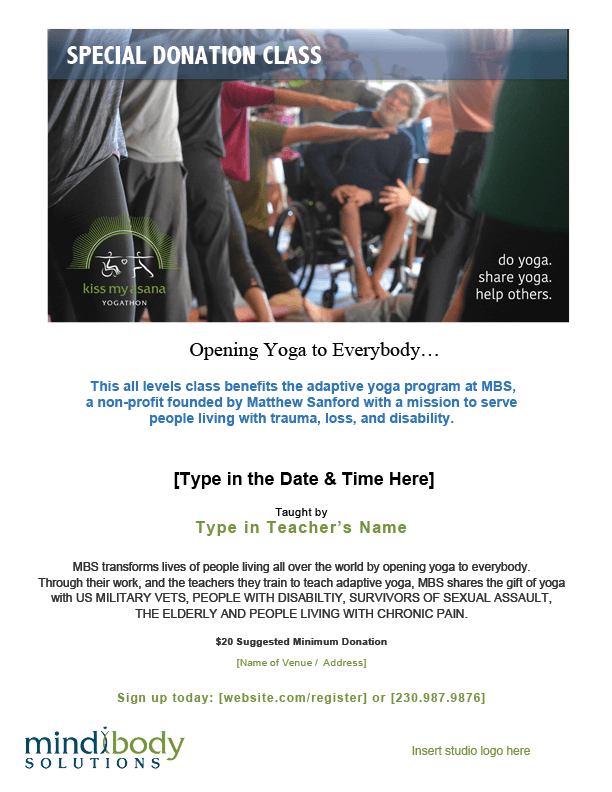 Download (select image and then right click to “save as” onto your desktop) these graphics to help promote your DONATION CLASS through social media. Include information about the yogathon and your studio’s involvement in it through your emails, e-newsletters, flyers and on social media. 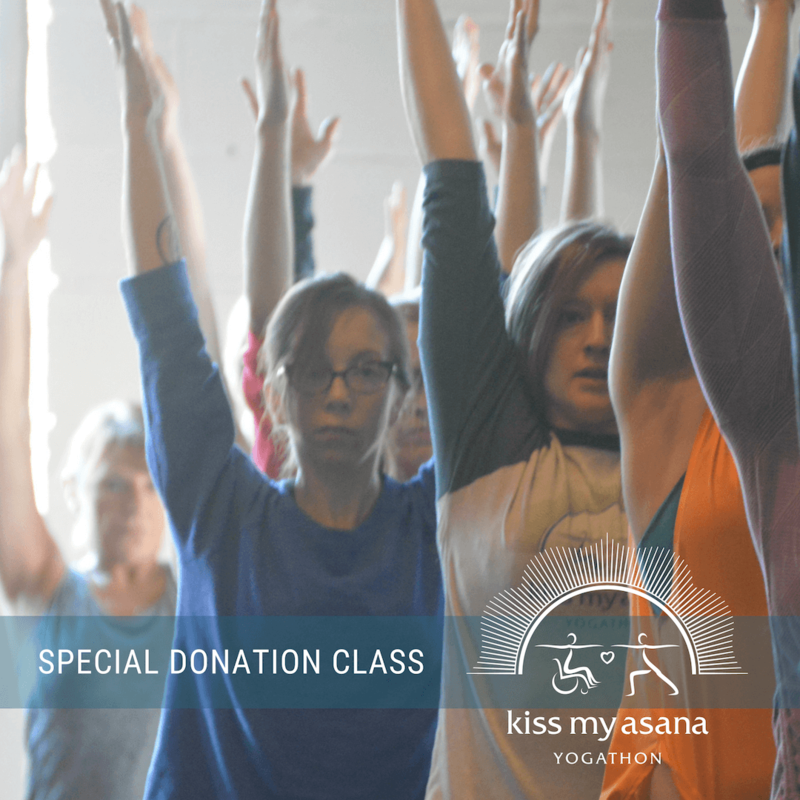 We encourage you to use the Kiss My Asana logo and Mind Body Solutions’ logos in your marketing and add the following tags in your social media posts. THANK YOU!